Veterans Day is something we always celebrate in our house because we have so many family members near and dear to our hearts that have served, both in times of war and in peace. I guess a strong love for your country and the will to defend it runs thick in a bloodline, huh? 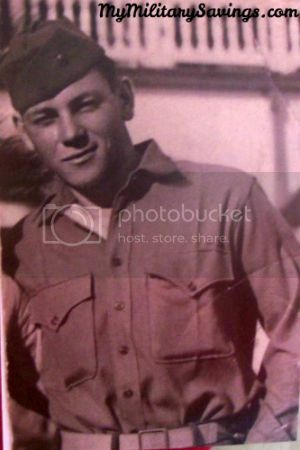 I can’t write a Veterans blog without honoring my late grandfather, Raymond Hayes, who served as a medic in the Navy and survived World War II, the Korean War, and Vietnam War. I wish he were here to tell my children his stories and, well, just to hug him and thank him. 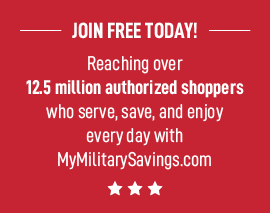 If you know any Veterans, make sure you reach out to them today while you can. Scroll below for a quick video tutorial on how to create this craft. To begin, cut the center of the paper plate out. 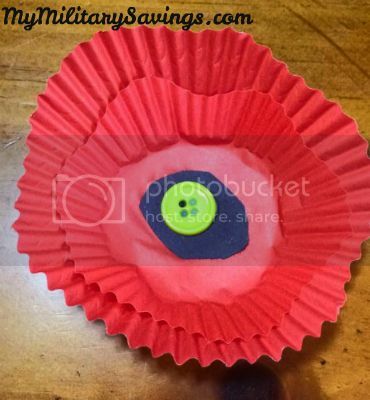 Then invert the cupcake liners and take 8 of them and cut off the very edge in a swervy manner so it resembles a flower. Take the other 8 liners and cut a swervy edge about 1/2 way down to create a smaller layer that will be placed inside of the larger liner. You will also draw and cut out 8 small circles (slightly larger than your buttons) on the black construction paper for the center of each flower. Large cupcake liner, smaller cupcake liner, black circle, button. If you cannot view the video, the rest of the wreath is simple. 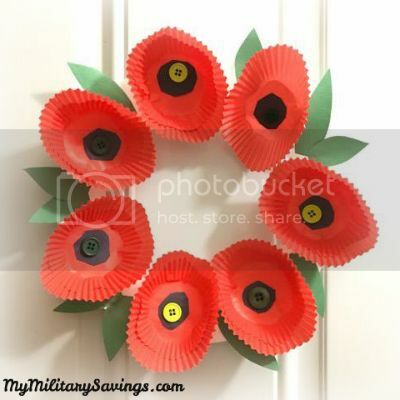 Glue each poppy that you create on to the outside ring of your paper plate. 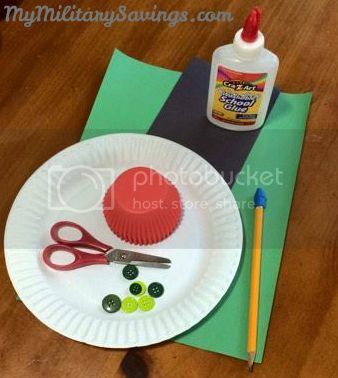 Cut leaves out of the green construction paper and fill in any empty spaces between each flower. The day prior we had begun our discussion about what a Veteran is and what he/she has done for our country. I found a color-by-number printable of a boy with a camouflage hat holding the American flag and thought it was pretty patriotic and supportive of our Veterans so we had fun coloring this while chatting about our loved ones that have served. 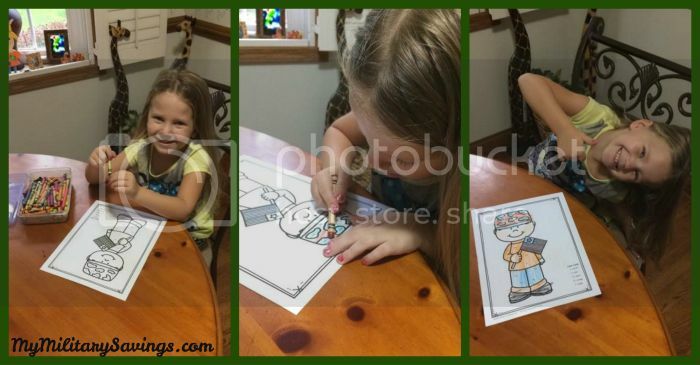 If you don’t want the artistic fun to end with the poppy wreath, check out Mama’s Learning Corner for this free coloring sheet as well! Happy Veterans Day, y’all. If you have served, thank you so much for your selflessness.